Isn’t it the best thing to see your pet welcome you home after a long day of work. Having a pet is only one part of your life, but to them, you are their whole world. Just because you love them so much, you want to make sure they are having a good time when you are not around. 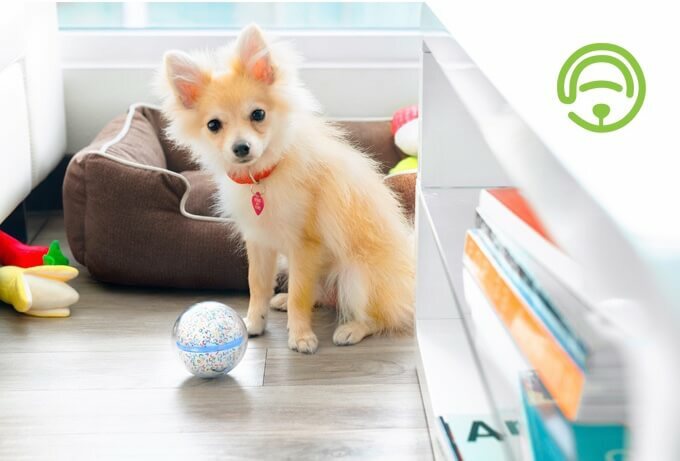 This smart toy ball - Pebby would be an ideal choice for both you and your pet, which gives you access to monitor and entertain your pet no matter where you are. By using Wi-Fi and Bluetooth technology, the Pebby smart ball ables you to watch, interact and capture your pet’s cutest moments in real time even when you are not physically together. The built in wide-angle fisheye lens offers you an optimal view of all the cute things you might have missed while you were away. You can also save and share all these lovely memories with a touch of a button. Don’t have much time to play with your pet? 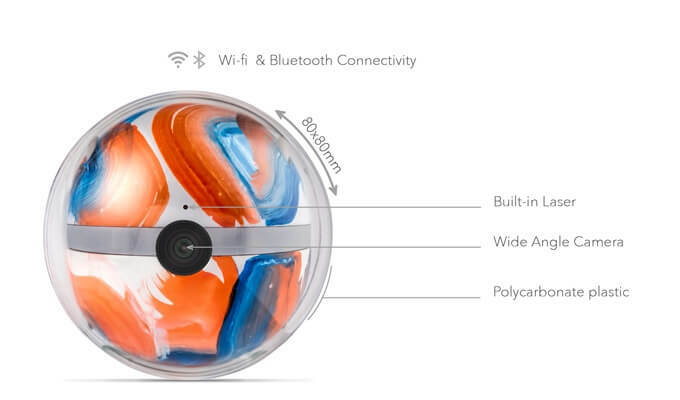 With this smart ball, there will not be a problem anymore. Simply turn on the Auto-play function and let Pebby go crazy to give your pets a fun, active and entertaining time! Of course for cat lovers out there, there is a specially designed pet and human safe laser to make our feline friends go buts. What’s more? With the app on your phone, your will receive Bark and Nudge Alert notifications to let you know when your pet is itching to play with Pebby. The two-way audio and mic system allows you to send a “woof,” “meow,” or pre-recorded message of your voice through your phone and get a response in return. Who’s a good boy? Your pup knows! The Pebby pack comes complete with the Pebby™ Ball (with your choice of EASYfix™ magnetic caps so you can customize the look of your Pebby) , PebbyKennel™ charging dock, PebbyCollar™ motion sensor collar, and, of course, the Pebby app, free to download off iTunes or GooglePlay store. It will soon be available to order and deliver on September 2017, starting from $169. From Shanghai, studied in the U.K.
Pizza is love, pizza is life. Apr 28 Could This be the Mysterious Supreme x Nike Dunk High That Never Released?